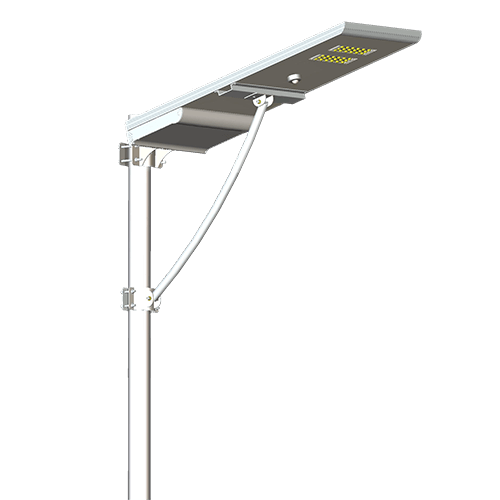 ETC Hire has superior quality Gold Coast and Brisbane solar street lights available for hire at competitive rates. We also service the Sunshine Coast, Ipswich, Byron Bay and Northern New South Wales. Each unit is a fully integrated system with LED lights, batteries and solar panels. The units mount to almost anything and are very easy to install. Offering 100,000 hours of operation per LED light, these automatically turn on at dusk and off at dawn. With a range of watts and sizes available, there are solar lighting solutions to illuminate roads, paths, parks, sports fields, warehouses, factories, new developments and industrial premises of any scale. The all-in-one solar street lights are a more cost effective and eco-friendly alternative to many other units on the market and are ideal for civil, commercial and residential applications. Solar street lights not only ensure driver safety at night, these are also an effective deterrent for thieves, trespassers and other unwanted visitors on your property. As our Brisbane and Gold Coast solar street lights are completely run by solar energy, once installed, there are no ongoing running costs.. In conjunction with our all-in-one solar street lights, we also have LED solar street lights with surveillance cameras available. SYSTEM REQUIREMENTS: Microsoft Win98 SE/ME/2000/XP, Vista, Win 7 OS; Internet Explorer 8.0, Firefox, Google Browser, Professional Client Management Software. Find out more in our product brochures! Contact us today for all your traffic management hire related enquiries.